Even strength. Power play. Penalty kill. Twenty-plus minutes. It doesn’t matter what you ask of Niklas Kronwall. He’s always a huge hit. It seems the only battle Detroit’s heavy-hitting defenceman can’t win, at least on this day, is getting the better of traffic. The man who wears No. 55 on his red and white jersey, however, certainly is a big deal and a big worry for the opposition. 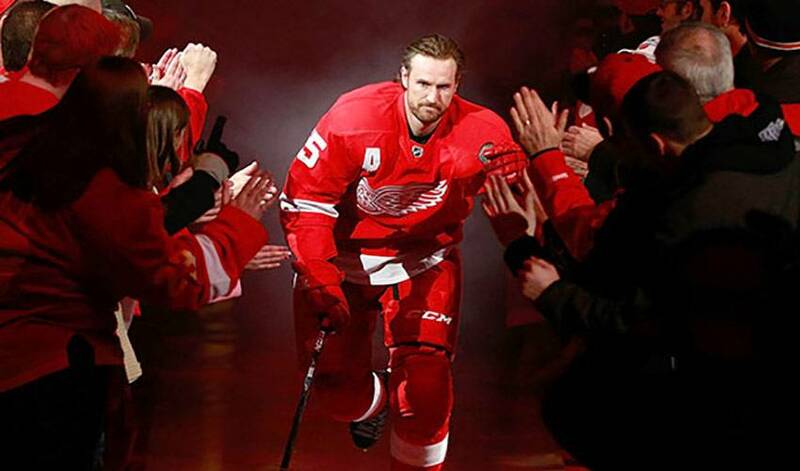 His devastating body checks might garner the most headlines when it comes to his game, but Kronwall, who has patrolled the blueline in Detroit since 2005-06, is much more than a one-hit wonder. The Red Wings veteran continues to be a steady offensive contributor, scoring 11 and 15 goals, respectively, in 2010-11 and 2011-12. In 48 games this year, he recorded 29 points. Throw such numbers out to him, however, and Kronwall humbly deflects any opportunity to speak about his game. For Kronwall and his teammates, simply getting to the post-season was a massive undertaking, as they drifted between inside and outside of the top eight in the West. In the end, Detroit managed to secure the seventh seed. After their seven-game triumph against the Ducks, they have faced off against Original Six rival, Chicago, the league’s top team, points-wise. In Game Six on Monday night, the Wings lost 4-3 to set up a deciding Game Seven in Chicago on Wednesday. “It was a fight to get into the playoffs, but we played some of our best hockey when we needed to,” offered Kronwall, who won the Cup with Detroit in 2008. “There was a sense of confidence when the playoffs started. We have plenty of veterans who know what to say and what to do in those pressure-filled times.